This special DU bushing pilot works with the "RWC Needle Bearing Tool" for installing and removing DU bushings ("Fox" standard). 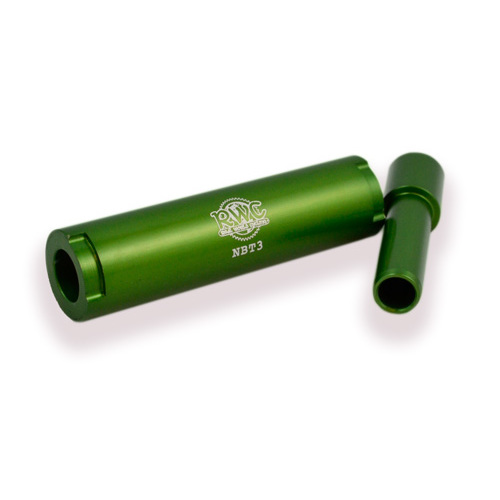 Prevents shock eyelet damage by properly aligning the bushing while removing or installing. 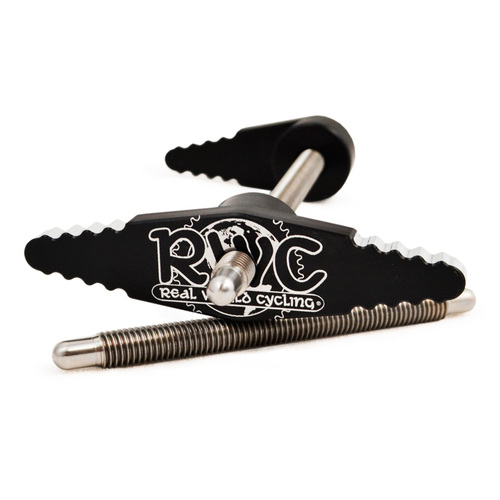 Use with the RWC Handle Set 1, Enduro Hub Press Handle Set, a vise, or your own threaded rod, nuts, and washers (must be used with our green Needle Bearing Tool).